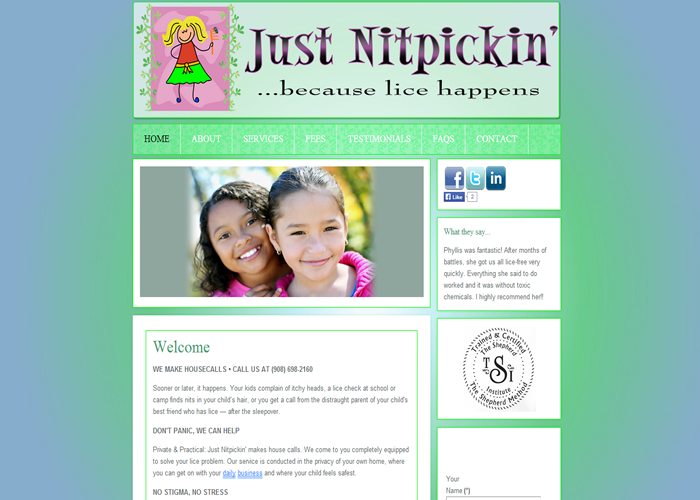 Just Nit Pickin was originally hosted on GoDaddy. The owner of the company built the site using Website Tonight a discount web building tool. Initially this was a good choice for Just Nitpickin, as they were a new company. After time, the owner found Websitetonight was limiting so they decided to jump into a Joomla Site built by a developer. They are still responsible for the content and photos on the site, but now they have a great and professional looking joomla site. We also built for them a web version of the website. If you visit their site on a cell phone you can see the new template that was designed just for them.